Laser Accurate. Photo Positive Speed Enforcement. The new Stalker LidarCam is based around the industry leading Stalker X-Series LIDAR. 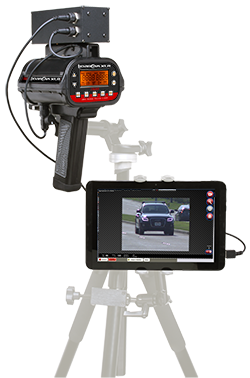 Combined with a high-resolution digital camera, the LidarCam becomes the ideal tool for capturing still or video violation evidence. Simply aim and shoot. When the officer pulls the trigger to clock a speeder, data evidence - vehicle speed, distance from the LIDAR, and images of the vehicle, number plate, and driver – is sent to a Windows tablet or laptop. The Stalker LidarCam is built around Stalker’s industry standard X-Series Lidar. Known for its dependability and accuracy, the X-Series is already proven technology and the perfect platform for “point-and-shoot”, camera-aided speed enforcement. 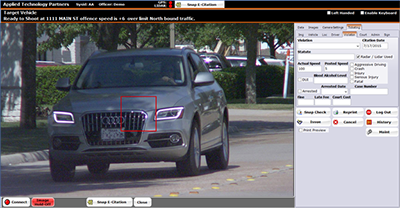 LidarCam setting of 1- 5 photos when a target exceeds the operator-set speed threshold. LidarCam connects either through Bluetooth or the USB ports of a PC, rugged tablet, or simple tablet. LidarCam also operates with an external battery or a powered USB hub for longer, on-scene operation. The Stalker LidarCam is driven by powerful violation capture software. 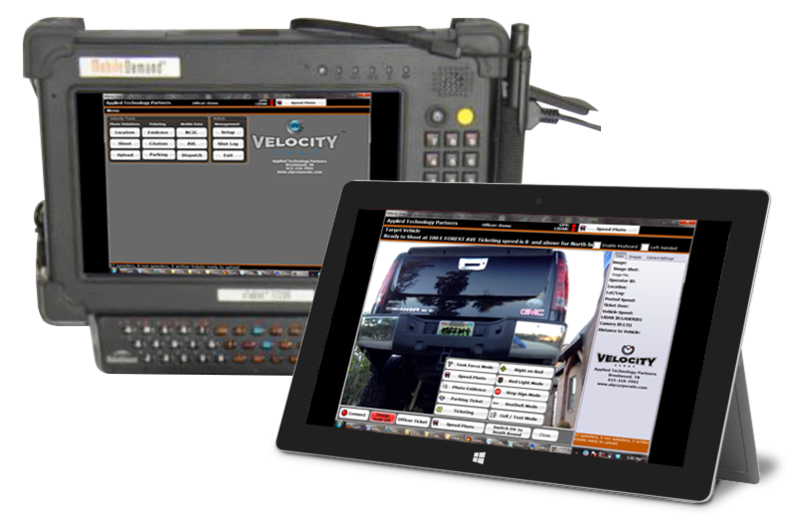 The Velocity Snap software package allows simple setup and operation by the field officer. 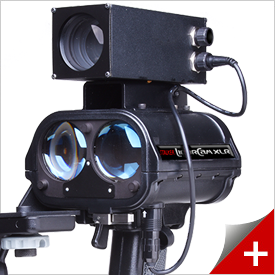 It provides the location, direction of travel, date, time, and speed along with an image of the violator. European plates – 750+ feet.